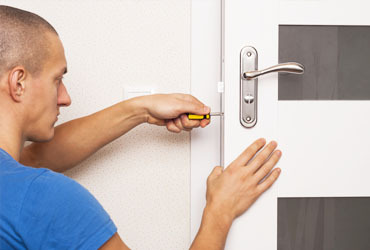 Replacing your door handles is a simple and effective way to update your home, but it is important to ensure that they will fit with ease and cover any old fixing holes or marks left behind from your old door handles. 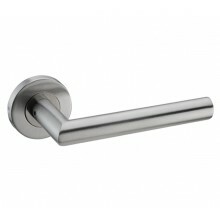 Considering the following to ensure your new handles are the perfect fit. You should first consider the dimensions of the backplate, or diameter of the rose on your new door handles to ensure that they will cover the old fixing holes and any marks remaining on your door from your old handles. You may also wish to take into consideration the centre measurements on those doors with locks. Internal doors usually have lock centres of 57mm, which represents the distance between the spindle of the door handles and the centre point of the keyhole. If replacing old door latches then it is important to consider the size of the face plate (on the inside of your door) and strike plate (situated on the door frame), as your door will have been morticed to accommodate the existing latch. 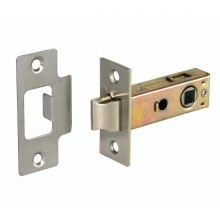 If a new latch is required, then it is best to choose one that is the same or larger in size to conceal these cut-out sections. Where a new latch or mortice lock is being installed it is important to consider the backset measurement of your latches and locks on your current doors. This measurement represents the distance from the centre of the spindle hole to the edge of the door. 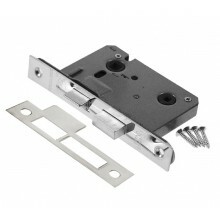 It’s easiest to install the same size latch or lock that is currently fitted to eliminate or at least reduce the work involved. When fitting new handles and making use of existing latches or locks then it’s worth checking the thickness of your current spindles, or the width of the follower (spindle hole) in the latch or lock so that you're sure these are of the UK standard size, 8mm² and will easily accommodate that of the spindles supplied with your new handles.